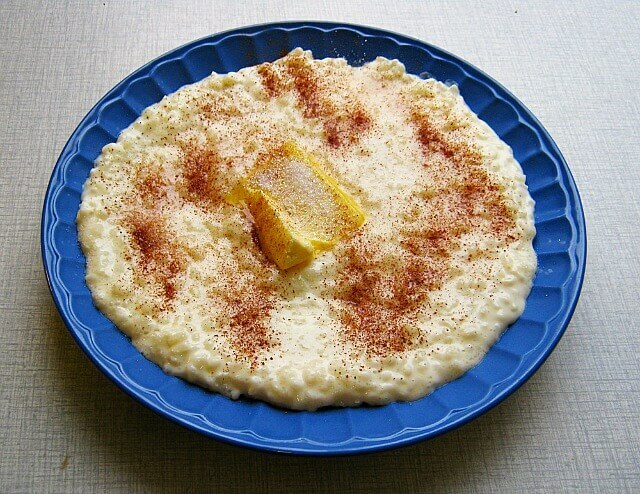 Searching through my Danish rice pudding for a hidden almond every Christmas has been a beloved tradition ever since I was a little girl, but until recently I had no idea that other cultures had hidden trinkets in some of their festive foods as well. Many Scandinavians close their Christmas feast with bowls of lusciously creamy almond rice pudding folded into lashings of whipped cream and drizzled with decadent caramel sauce. In one bowl is hidden a whole almond and whoever finds it wins the Almond Present, usually a pig made of marzipan, a game, or puzzle. Every year, my uncles would steal whole almonds and pretend they’d found it in their bowl, receiving a Danish-accented scolding from my grandmother. Some Danes prefer a cherry sauce over their Christmas rice pudding, but caramel is the topping of choice in my family. 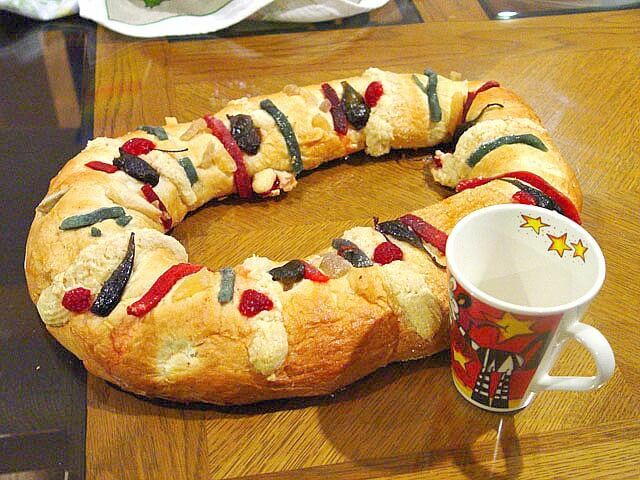 In Spain, South America, and Hispanic communities in the USA, Rosca de reyes is baked to celebrate King’s Day on January 6, which commemorates the arrival of the three Magi or Wise Men. This sweet bread is decorated with candied or dried fruits such as figs, quinces, and cherries, and a small clay or porcelain figurine — usually a baby Jesus — is hidden in the dough before baking. In some countries, the finder gets to carry the figurine to church on Candlemas, while in others they are chosen to host a party on that day. 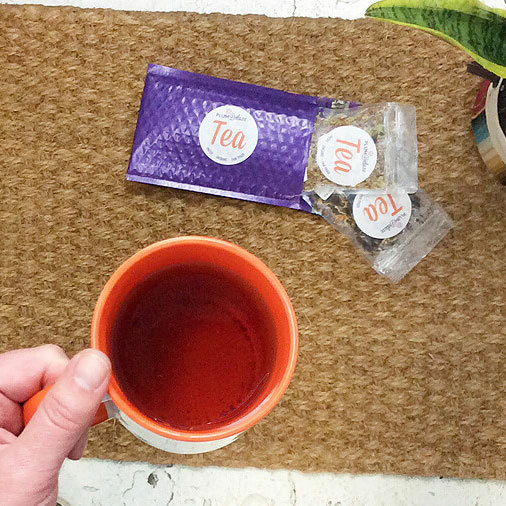 In Mexico, they must provide tamales and atole to the party guests. 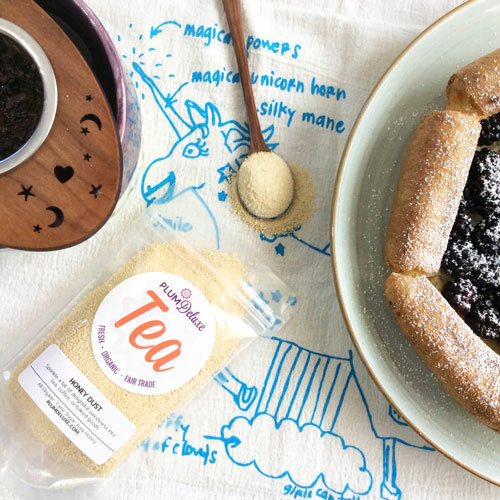 In France, this same holiday is celebrated with a Galette des Rois, a delicious treat made of two layers of puff pastry filled with a luscious almond cream. Originally, a fava bean was tucked into the cream, but in the 16th century it changed to porcelain trinkets that are collectible in France. 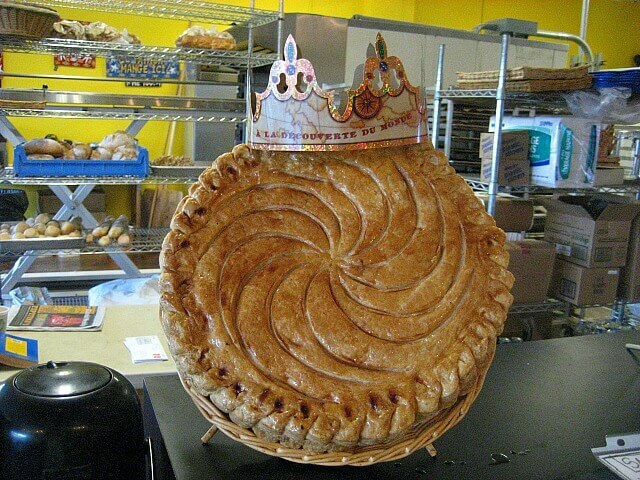 French bakeries provide a paper crown with the Galette des Rois so the winner can be crowned king for the day. The dessert is cut into a specific number of pieces, one for each person sitting at the table with an extra to give to the first poor person who passes by. Instead of simply slicing and passing out the pieces, the Galette des Rois is cut then the youngest person goes under the table and calls out the name of the person to receive each slice. Their innocence is believed to provide the impartiality needed in ensuring the piece with the porcelain trinket is truly anonymous. 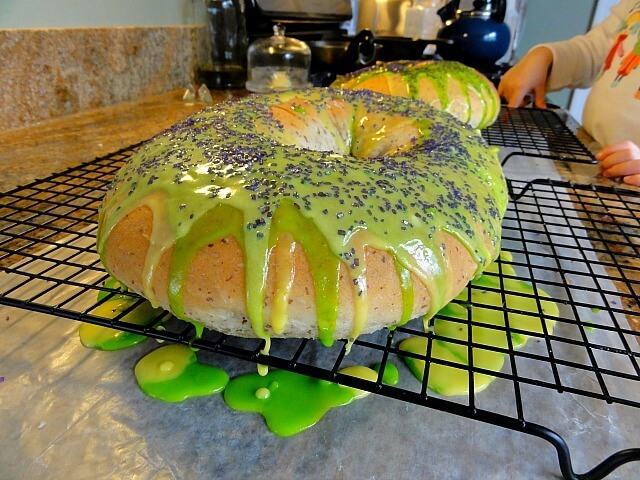 The Mardi Gras King Cake is eaten between Twelfth Night/Epiphany Day and Mardi Gras/Fat Tuesday before Lent begins. A sweet bread is decorated with vividly colored icing or sugar and hides a tiny plastic baby. The finder of the baby must provide the next King Cake or host the next Mardi Gras party. 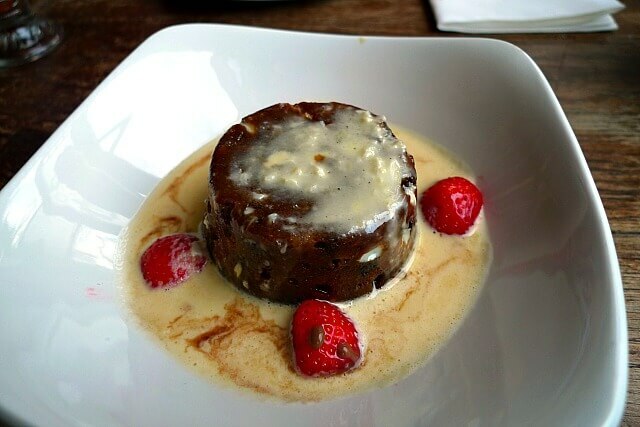 Perhaps the most famous food with hidden treasures is the oh-so-English Christmas Plum Pudding. 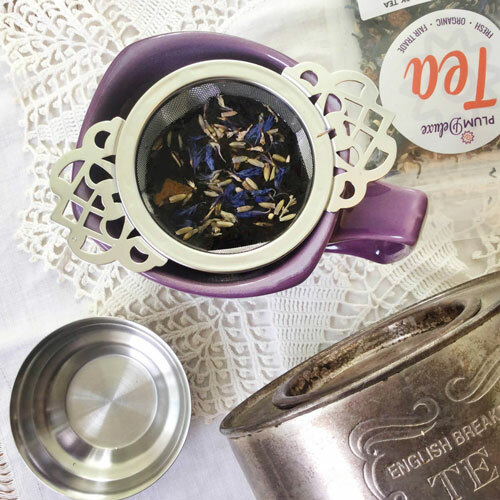 A dense steamed pudding rich with dried, candied, and fresh fruits, it is studded with tiny trinkets such as coins, wishbones, thimbles, and anchors. 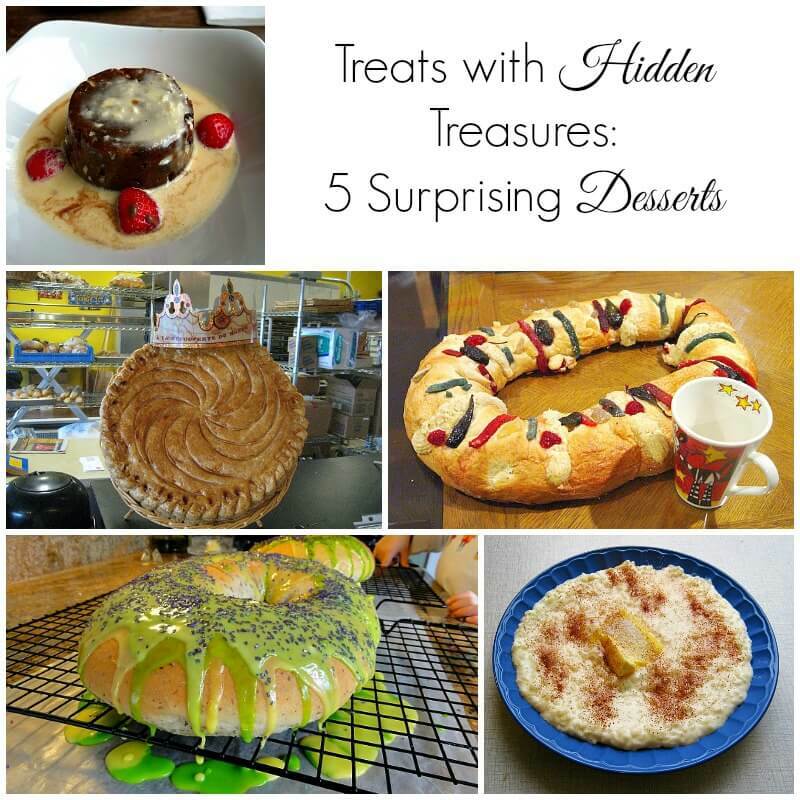 There’s something about searching for treasure in our dessert that brings out the child in all of us. Photo credits: KEN, Itzcuauhtli, Infrogmation, Bart Everson, and Ewan Munro.